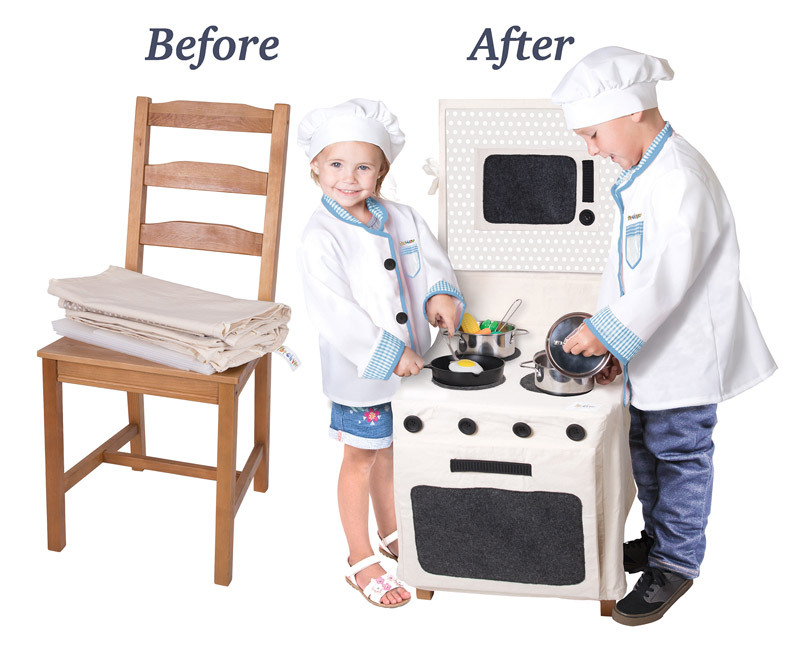 Tempe, AZ (November 12, 2018) – Today the Toy Association selected the PopOhVer™ Stove Set, a canvas covering that instantly transforms a standard chair into an ingeniously designed kitchen pretend playset, as one of the best toys in the country. The TOTY Awards ceremony is set for Friday, February 15, 2019 at the Ziegfeld Ballroom in New York City. One winner in each category, as well as the People’s Choice award (based solely on consumer votes) and the prestigious overall Toy of the Year winner (chosen by a panel of experts), will be announced as the official kickoff to the American International Toy Fair 2019. Kangaroo Manufacturing launched in 2014 and from the start has been dedicated to enhancing children’s play and imaginations. Starting with only a dozen items, Kangaroo Manufacturing’s product assortment continues to expand, encompassing a range of interests, such as toys, pool floats, novelty, costumes, houseware, party supplies, and much more. Kangaroo Manufacturing has taken the phrase “something for everyone” to heart and develops creative and engaging products that people of all ages can enjoy. 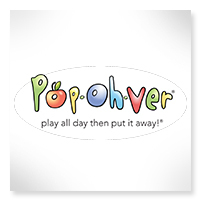 Brands include PopOhVerTM, Coconut Float®, Original Super Cool® Slime and Emoji Universe.